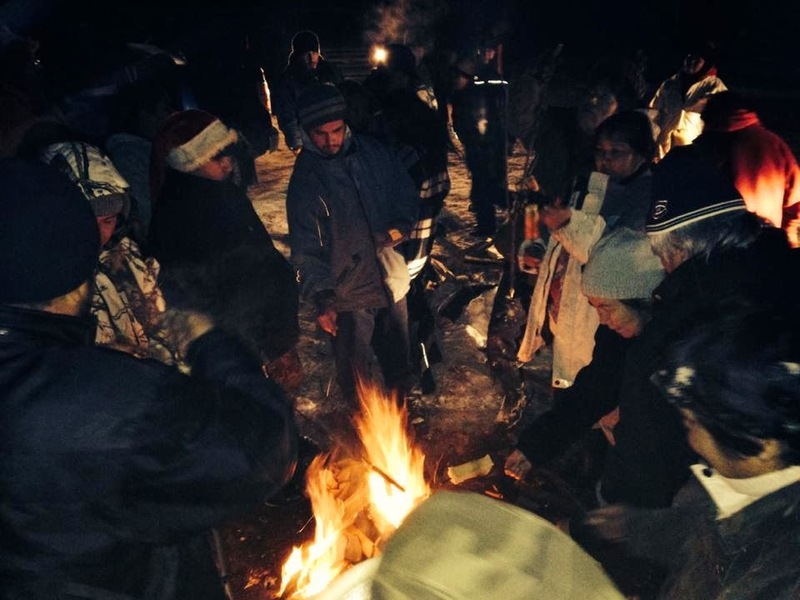 (Kitiganik, Algonquin Territory/December 16, 2013) – After community members of the Barriere Lake First Nation established a land protection camp to protest clear-cut logging on sensitive areas of their land, Quebec’s Ministry of Natural Resources has agreed to respect a previously negotiated process to harmonize forestry operations with the community’s traditional activities. Called the “measures to harmonize” process it involves field visits by Barriere Lake Algonquins to the proposed cut block areas and identification of buffer zones of various sizes to protect cultural sites and ecological areas. 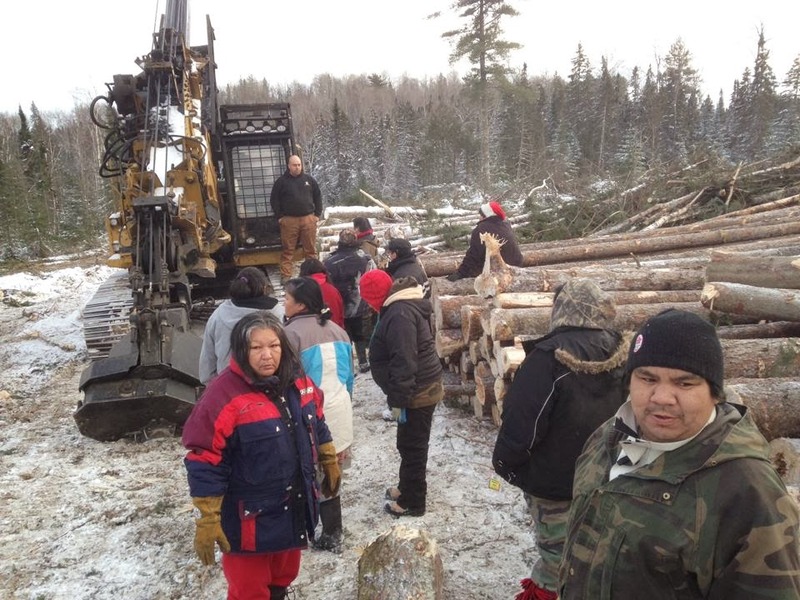 The Quebec Ministry of Natural Resources had—without meaningfully consulting the Algonquins of Barriere Lake—issued permits for the 2013-14 operating year to Resolute Forest Products and other large logging companies who have subsequently clear-cut vast tracts of the forest this past summer and fall, up to the end of November, when the Algonquins stopped the unauthorized logging, which has been taking place in violation of signed Agreements with the First Nation. Resolute Forest Products and other logging companies have already damaged many sensitive zones on the Barriere Lake Trilateral Agreement Territory. This recent decision by Quebec’s Minister of Natural Resources to respect a previously negotiated Forestry Protocol and related buffer zone prescriptions provides time for the Algonquins of Barriere Lake to conduct field visits to proposed logging sites scheduled for the 2013-14 operating year and identify buffer zones around sites of cultural and ecological importance to the Algonquin Peoples. The Algonquins of Barriere Lake intend to ensure that in early 2014, the commitment made by Quebec’s Minister of Aboriginal Affairs, Elizabeth Larouche, is fulfilled to establish a negotiation table early in 2014 with the active participation of all of the relevant Quebec departments involved in implementing the outstanding 2006 Joint Recommendations of Mr. John Ciaccia and Mr. Clifford Lincoln. The Ciaccia-Lincoln Joint Recommendations are the result of intensive negotiations between the Algonquins of Barriere Lake and Quebec under a 1991 Barriere Lake Trilateral Agreement and a related 1998 Agreement, which includes Co-Management of the territory and Resource Revenue Sharing among other issues. The Algonquins have removed their Land Protection camp within the La Verendrye Wildlife Reserve at the Poigan sector but are monitoring their territory to stop any unauthorized logging from further damaging Algonquin cultural sites and critical wildlife habitat while ensuring the agreed upon Measures to Harmonize Process is completed for the 2013-14 proposed logging sites.